Will BSA need to advertise for volunteers too? Tens of thousands of girls and young women are unable to join the Brownies and Guides due to a chronic lack of volunteers. Around 70,000 young people are missing out on the chance to make friends, have adventures and improve skills such as confidence, because of a shortage of people willing to give their time, Girlguiding said. The charity has launched a new national campaign urging the public to sign up and join in, with the message that a womanâ€™s place is â€œwherever she wants it to beâ€. Girlguiding already has around 100,000 volunteers across the UK, working with its half a million members, but more are needed, the charity said. Volunteering roles vary from helping out at a meeting once a month, to supporting weekend events or running sessions with different groups. It said that while record numbers were signing up to help out, many have a limited amount of time to give, at a time when more young people are joining the organisation. The plea for volunteers to help the Guides and Brownies follows a similar request from the Scout Association earlier this year. In April chief scout Bear Grylls urged more people to help the association, regardless of their ability to light a fire or erect a tent. I would hope so; their problem is too much demand and they (wisely) cap the size of the units. I think some Troops I have seen have too many leaders and not enough scouts = trouble. My troop has many adult leaders but they are not equal. Some are great. Some arenâ€™t worth asking any question you have because they wouldnâ€™t know the answer. True everywhere - schools, government, business. The question - are there enough qualified leaders to deliver on the Promise of Scouting. My unit, yes and please take the surplus away. Other units are less fortunate. P.S. Capping the number of leaders or the number of scouts is an idea that has not been considered. Difficult with other time commitments. IMHO we got too many ASMs in my sons' troop. And some have the knowledge, skills, and abilities to not only survive in the outdoors, but also work with the Scouts. And some do not. One thing I am seeing having so many adults: adults thinking camp outs are covered so we are not having enough adults with the KSAs attending. We are ending up with one or two experienced adults and a bunch of new parents with nothing but Cub Scout experience. Just an observation over the last 25 years. The more volunteers without a scouting experience, the more program quality suffers. I know that we don't really have control over it, but I've been harping for several years that program quality is a function of experienced volunteers. Which is a HUGE concern for me with the induction of girls. 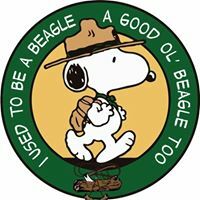 My two scoutmasters were way different. One was not a scout but let us lead. That was good but we didnâ€™t learn anything new unless we found it ourselves. The second was highly skilled and made sure we were taught well. Heâ€™d do what the first guy did and let us learn on our own but heâ€™d give us new stuff to learn too. Stuff weâ€™d never have thought to look for. To some degree very true. I was very in-experienced when I started but was extremely fortunate to have much more experienced adult Scouters who would take newbies like myself under their wing and basically train them until they could get up to speed. Lord knows I wanted to help and had enthusiasm but now I see it was good they held me back so I did unleash any more cub-scout driven havoc then I did. As a Scoutmaster, two trained and qualified ASM's I have, but what my troop really needs is a Troop Committee. There is a lot of behind the scenes stuff that really needs to be spread out, to avoid burnout. I need people to do the back office stuff (Advancement Chair, Transportation Chair, Activity Chair, treasurer, etc.) so that we can concentrate on our jobs. A national campaign advertising not only for youth, but for adults is an excellent idea, that can only aid us in recruiting leaders. Training is a problem we can overcome. But without the adult volunteers, all the training in the world will be taking place in an empty classroom. My Troop is pretty overstaffed on Adults. I'm gravitating away from the Troop towards the District Volunteer ranks simply because I'm redundant on the Troop level, and I'm not making an impact vs time invested at the Troop level. Those of you who know my Scouting history as an Adult, that's great news for us. At one point we had 1 SM and 2 ASMs for a troop of 80 Scouts. Some Troops can pull that off, but it was a huge strain on the three of us at the time. Well, they will need to keep their adult-to-Scout ratio, so more adults would be needed to comply with that. That assumes all leaders are "trained". If not, well, that's another issue altogether. It's not a problem now. There's about 5 more trained ASMs. We have always been blessed with a large professional-acting committee gives us Scouters the freedom to concentrate on the boys. I disagree with the conclusion. I have seen more than my fair share of leaders with scouting experience, some even eagle who do not provide a quality program. They are mostly adult led. I have seen just as many leaders with zero scout experience learn quickly what a quality program is supposed to be and then help deliver it. Thus I do not agree that just having scouting experience yields a quality program. Green bar bill, james west, daniel beard, and edward cave were not boy scouts in their youth. Actually William "Green Bar Bill" Hillcourt was a Scout in Denmark, earning teh Knight Scout rank, their Eagle Scout, and went to the first 2 WSJs as part of the Danish contingent.